Led by Old School Labs’ own Breon Ansley, the 2017 Mr. Olympia Classic Physique Champ, the new Classic Physique division is quickly becoming a crowd favorite. The question is: Will its popularity change the entire sport? A couple of years ago, Arnold Schwarzenegger made headlines when he openly criticized the professional bodybuilders of today during his seminar at the annual Arnold Classic Sports Festival in Columbus, Ohio. Arnold, who is widely considered the spokesperson for bodybuilding, shocked many by voicing his displeasure at how some of the highest ranked bodybuilders look in the modern era, while criticizing the judges who reward these types of physiques. Arnold’s complaint centered on the protruding stomachs of many of pro bodybuilders who placed high. He insisted that the ideal look of bodybuilding is to have wide shoulders, tapering down to a small waistline. “We used to have the V-shape body,” Arnold explained, “and now we have, what, bottle-shaped bodies?” The audience at the seminar laughed loudly in agreement. Arnold had struck a chord. Arnold also made the observation that the beautiful physiques of old-school bodybuilders like Reeves, Park, and Zane earned admiration from both women and men in the general public. 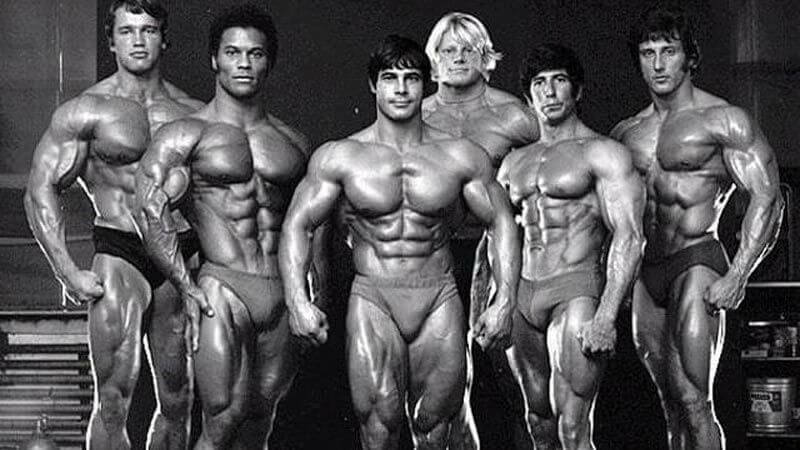 More importantly, in the 1980s, bodybuilding reached unprecedented heights by attracting new fans, especially teenagers. Young men took up the sport to develop physiques like the superstars they saw in “Pumping Iron” and fitness magazines. Legendary athletes from the ‘70s like Arnold, Oliva, Zane, Robinson, and Ferrigno inspired a generation of teenagers like OSL Ambassador and 1983 Mr. Olympia, Samir Bannout to begin passionately lifting weights. Bannout recalls flipping through a Muscle Builder/Power magazine and falling in love with the looks of Arnold and Zane. Flipping through this magazine ignited his journey to become one of greats. The fitness revolution of the 1980s was also the bodybuilding revolution especially among competitors in the teenage ranks and beyond. The dream was not to win a pro card but to claim the magical titles of Mr. America, Mr. Universe, and maybe even Mr. Olympia. 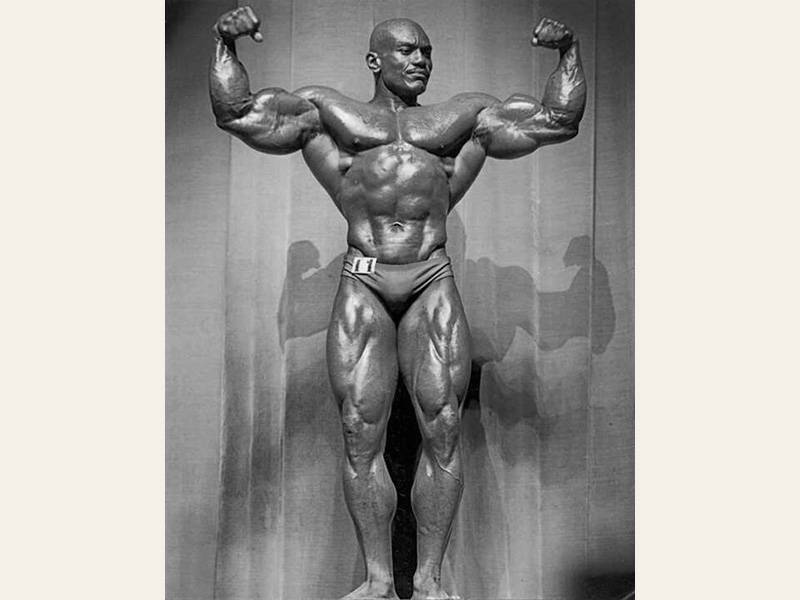 To win a top trophy and be featured in bodybuilding magazines was the dream of young bodybuilders around the world. These days, not as many young men are inspired to look like bodybuilders. Teenage competitions are not in demand. Many teens choose CrossFit or combat sports instead. Many blame this on the type of bodies that Arnold complained about in his seminar. Given a choice, most men—and women— prefer the look of Oliva and other Golden Era greats than the enormous bodies dominating the sport’s biggest contests. To some, Arnold is the unofficial leader of the sport of bodybuilding. His words have weight. Officials listened, then took action. By the end of 2015, the NPC and IFBB announced they would be introducing a new category into their organizations: Classic Physique. 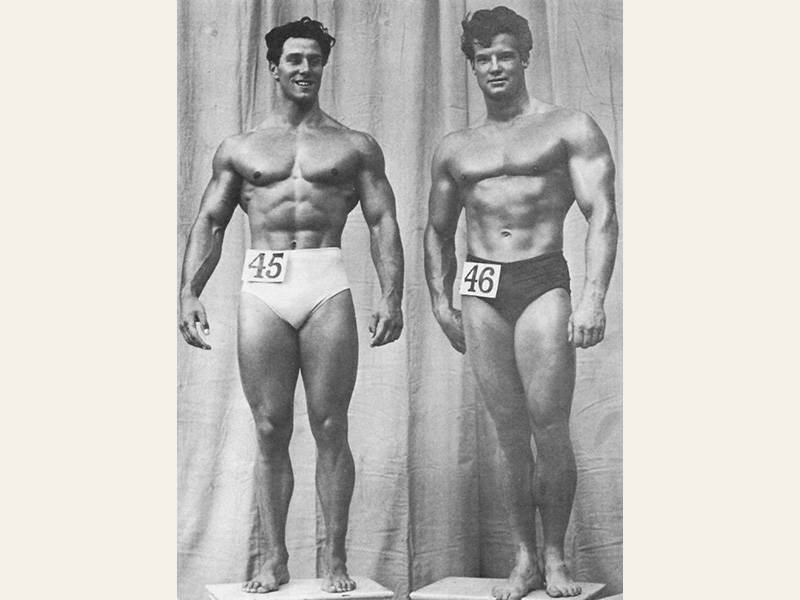 The competitors in this division would be judged according to the bodybuilding standards of the Golden Era. This category would not emphasize on extreme size. Instead, athletes would be rewarded for smaller waistlines, wide shoulders, and shapes inspired by Zane, Draper, and Arnold. It’s the return of aesthetic beauty over brute size. To prevent imbalanced physiques, bodybuilders competing in Classic Physique must adhere to weight restrictions in accordance to their height. These height-weight ratios would hopefully prevent the bodybuilders from getting too big and uphold the aesthetic standards this category represents. When Classic Physique was announced in 2016, many competitors flocked to the category to see if they qualified. Competitors from Men’s Physique and Open bodybuilding crossed over into Classic Physique to test the waters. The judges stayed true to the guidelines and in the spirit of the new division, Classic Physique competitors quickly learned they needed to adhere to the V-taper look, and present physiques with pleasing symmetry and balanced musculature. 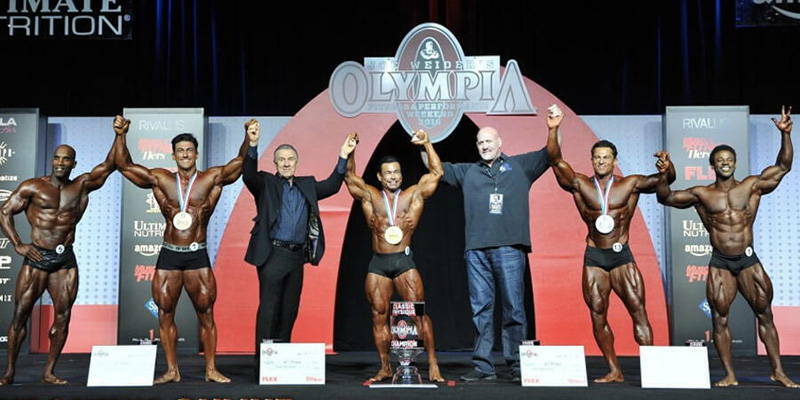 The climax of the first year of this exciting new division occurred at the 2016 Olympia Weekend in Las Vegas. Displaying the conditioning and proportions which Golden Era fans favored, Danny Hester, 47, won the first-ever Classic Physique Olympia contest. It was clear that Classic Physique was on its way to being a favorite of today’s bodybuilding fans. The NPC and IFBB had created a truly exciting new category within the sport. The 2017 contest schedule featured more Classic Physique competitors jumping in from more traditional categories. Some of the competitors were able to combine muscle size along with outstanding definition and separation in a package that emphasized their remarkable symmetry and shape. During the 2017 Mr. Olympia, despite entering the show in excellent condition, the defending champ, Hester, came in fifth. The crown was given to OSL Ambassador Breon Ansley, whose physique and graceful posing told a story of balance, flow, and Golden Era ideals. Athletes like Breon, runner-up Chris Bumstead, Arash Rahbar, Terrence Ruffin, and others proved that this category was drawing elite talent from all around the world. The promise of Classic Physique is exciting and filled with hope. Ansley and his competitors are already inspiring a new generation to develop their physiques to match the Golden Era aesthetic. Just as Arnold and his colleagues inspired young men in their era, these upcoming superstars will do the same for future generations. Hopefully, the new athletes of the Classic Physique division will broaden their impact and create a new bodybuilding renaissance. And, by continuing to develop their physiques consistent with the symmetry, proportion, and aesthetics of the Golden Era, and displaying elegant and inspiring posing routines, this new breed of bodybuilding talent has the power to influence young men on a global scale. We all want to look like superheroes—we just need the right people to show us how to fulfill that dream. In the comments below, tell us what you think of the Classic Physique division. Do you think it will impact the sport of bodybuilding in the long run?